Editor’s note: This is one installment in a four-part series on this year’s candidates for ASUC president. Read about the other candidates here. When campaigning gets stressful, Zaynab AbdulQadir-Morris can be found burning sage on Sproul Plaza. AbdulQadir-Morris, a current ASUC senator and CalSERVE’s presidential candidate for the 2017 ASUC elections, said she believes in the power of energy and of the people. If elected, she will focus on cross-cultural advocacy and listening to students from all walks of life. AbdulQadir-Morris grew up in the neighborhood of Inglewood, California, a place that she was often told is unsafe or violent. AbdulQadir-Morris said that growing up, she never saw the area as violent, adding that the violence is often sensationalized. She noted that she has always loved reading, considering it an “escape” to another world. Her love for reading led her to pursue higher education, AbdulQadir-Morris said. The education system in Inglewood was not very strong, according to AbdulQadir-Morris. City politicians rarely invested in education, she said, and her high school was ranked low in southern California — but AbdulQadir-Morris’ teachers were very supportive. From representing both the Berkeley Student Cooperative and the Black community in the ASUC Senate, AbdulQadir-Morris said she knows the importance of having a presence in the communities she represents — and in the case of ASUC president, having a presence in all communities. As a senator, AbdulQadir-Morris has been working to reestablish the Diversity Affairs Committee, which is responsible for increasing dialogue about campus climate, diversity and multiculturalism. Additionally, she is the chair of the Governance and Internal Affairs Committee, and she is involved with interviewing the Elections Council and pushing for the creation of the Voluntary Wellness Honor Pact, which is active in this election season. The pact establishes guidelines and rules, all of which are voluntary, that support candidates’ mental health during the elections. Student Action Senator Miranda Hernandez, a friend of AbdulQadir-Morris, first met AbdulQadir-Morris during the last election season while campaigning on Sproul and introducing herself to other senate candidates. Hernandez said AbdulQadir-Morris had been very receptive and kind to her. “She’s one of the most authentic people I know, and that’s why I think the student body needs her,” Hernandez said. 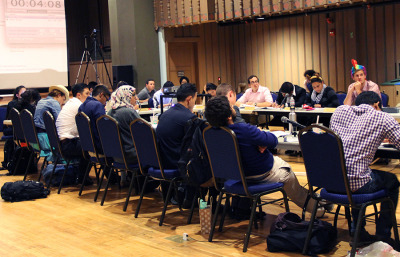 AbdulQadir-Morris’ opponent, Student Action presidential candidate André Luu, said it is “critical” to him that an executive officer of the ASUC is not biased toward any communities. 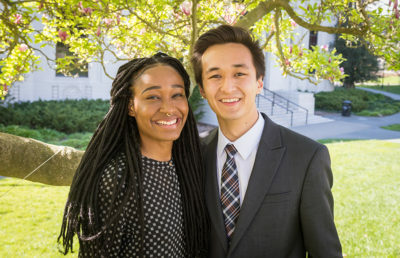 “I’ve worked with communities from all over campus and, as ASUC president, it’s so important that you don’t work solely with one or two communities on campus … being equally accessible … to all of campus, regardless of your personal stake,” Luu said. 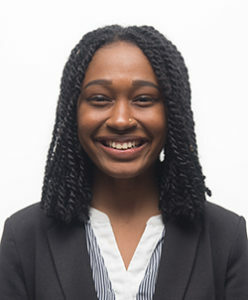 While AbdulQadir-Morris has spearheaded many initiatives as a senator, parts of her endeavors would extend into the next year, such as hosting a Black Welcome Week for incoming students of color and creating a clinic for people of color with alternative healing methods, such as aromatherapy. Sakura Cannestra is the lead student government reporter. Contact her at [email protected] and follow her on Twitter at @SakuCannestra.